As I was organizing my picture directories, I have noticed that most of my main meals pretty much reflect the weather on that particular day: lousy days are great for comfort food and sunny days for nice light food. It is not difficult to match the photos of my food with weather. 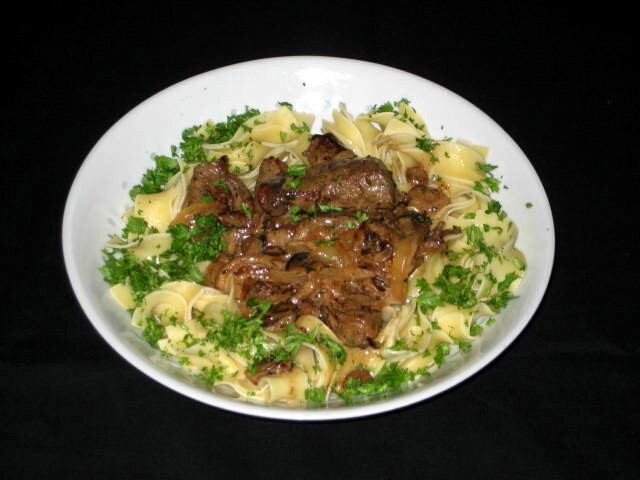 The caramelized mushrooms and onions almost completely cover the liver taste that so many people dislike. This is wonderful and tasty meal for any kind of weather. Recipe is the same as Calf Liver with Mushrooms & Spaetzle except I was using egg noodles instead of spaetzle. Perfect food for cloudy, rainy weather. Since I have used slow cooker for this stew it was no-work after initial browning of the veal. Can be done in big batches since it freezes so well. It is cooked just like Osso Buco Chops. 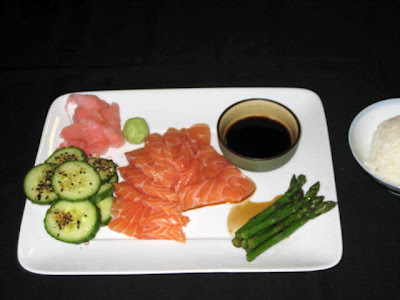 Salmon Sashimi with Cucumber Salad and Gari. 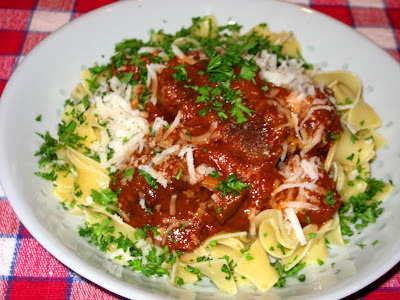 Yes, it was beautiful, sunny day when I prepared this simple and quick meal. All you need is super fresh salmon.